Murkowski pledges “exacting” review of Supreme Court nominee Kavanaugh. Here’s his record on health care and abortion. Alaska U.S. Sen. Lisa Murkowski is set to be in the center of national attention once again this summer as she stands to be a key deciding vote in the confirmation of President Donald Trump’s second pick for the U.S. Supreme Court. Murkowski is pledging a thorough review of Judge Brett Kavanaugh, who’s currently a member of the U.S. Court of Appeals for the District of Columbia Circuit, in a statement released Monday night. The U.S. Senate is moving quickly with the nomination and Kavanaugh is reportedly planning to meet with senators today. Though Murkowski doesn’t specify any issues in particular in her statement, most attention has been focused on abortion rights and health care. 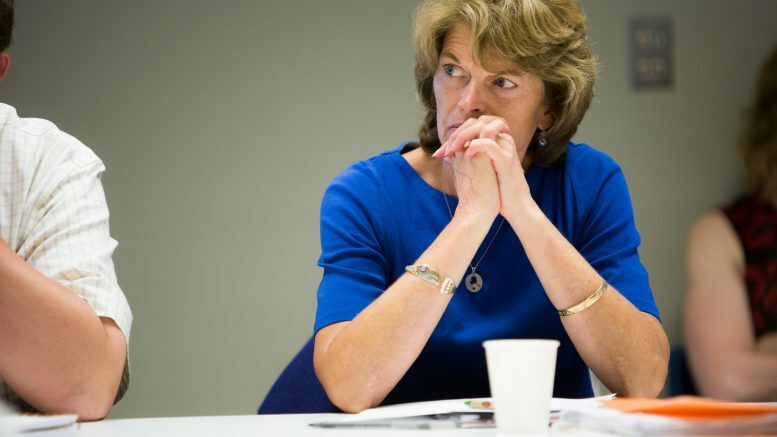 Both of those issues are likely to be critical factors for Murkowski–who’s just one of two GOP senators to support abortion rights and was one of just three Republican senators to break with their party to oppose last year’s attempt to repeal the Affordable Care Act. Here’s where Kavanaugh’s record is on those two issues. Murkowski was one of three Republicans who broke from their party last year to defeat the haphazard attempt by their party to repeal the Affordable Care Act (though she later voted to repeal the individual mandate). Now, the Trump administration is taking a new path to undermine the landmark Obama-era law by attacking it in court. The administration has joined a lawsuit brought by 20 states that argues Affordable Care Act laws that require insurers to cover pre-existing conditions without charging more is unconstitutional (in large part because Congress repealed the individual mandate). Commenters believe it’ll be one of the first big cases that would reach Kavanaugh if he’s confirmed. The key health care ruling in Kavanaugh’s record as a judge U.S. Court of Appeals for the District of Columbia Circuit is his dissent in a 2011 case that upheld the individual mandate, a move that many progressives see as opposition to the law. However, he didn’t go as far as calling any part of the law unconstitutional–a move that has irked hardline conservatives. Instead, he wrote the dissenting opinion because he believed it was too early for the court to be ruling on the constitutionality of a tax before the tax was ever levied, which one Supreme Court writer puts him closer to Chief Justice John Roberts on the issue. Kavanaugh’s opinion on abortion is more clear. In 2017, he wrote a dissenting opinion to Garza v. Hargan, a case dealing with abortion access for a 17-year-old who was in custody for being in the U.S. illegally. The court ultimately ruled to allow the teenager to be released in order to receive an abortion, to which Kavanaugh wrote a scathing dissent. Though he didn’t go as far in the opinion to say abortion is unconstitutional–a move that, once again, rankled hardline conservatives–many Democrats say this ruling is the roadmap for him to rule against Roe v. Wade. Kavanaugh also wrote a dissenting opinion in the 2015 Priests for Life v. Department of Health and Human Services, arguing that the Affordable Care Act’s requirement that employers provide health insurance that covers contraceptives violated religious freedom even though it allowed religious organizations a way out of the penalty. Still, it’s unclear just how critical Kavanaugh’s stance on Roe v. Wade will be for Murkowski. Murkowski’s moderate ally in the Senate, Maine Sen. Susan Collins, has been much more outspoken in her support of Roe v. Wade and its importance in the Supreme Court pick. Collins, in an interview with CNN, said she wouldn’t support any candidate who’s “hostile” to Roe v. Wade, also believes that Trump’s previous Supreme Court appointee, Neil Gorsuch, would defend the ruling. Be the first to comment on "Murkowski pledges “exacting” review of Supreme Court nominee Kavanaugh. Here’s his record on health care and abortion."